These time management tips for working moms will help you live a balanced life! Life is busy for everyone. It really is as simple as that. That being said, life is extremely busy for working moms. 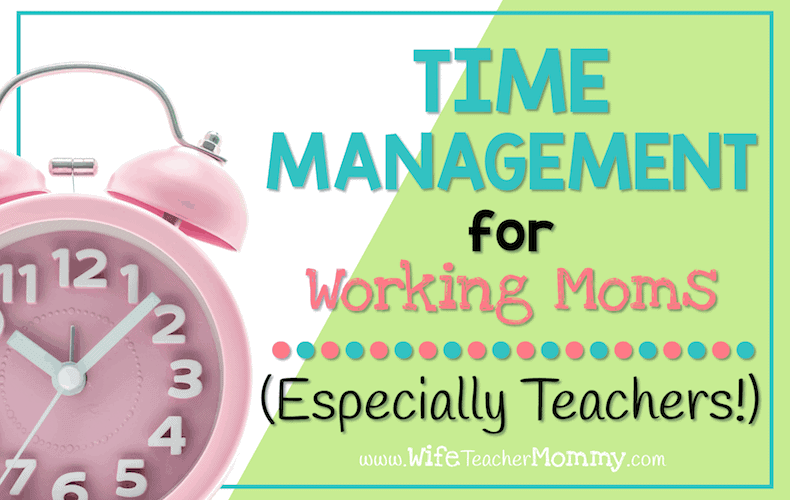 As a working mom, whether you are a teacher, a doctor or waitresses, you know how hard it is to stay on top of your time management. It has been said that a working mom has roughly 40 hours a week to accomplish everything outside of their job. That includes spending time with kids, spouse and family in addition to all other household duties, errands and obligations. Being able to effectively manage your time is crucial for making life run smoothly and keep your stress levels down. (This post contains affiliate links. See disclosure). 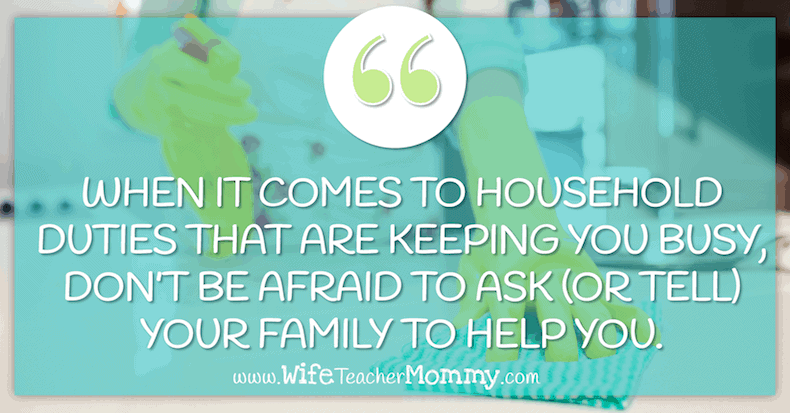 When it comes to household duties that are keeping you busy, don’t be afraid to ask (or tell) your family to help you. Us moms tend to carry a lot of the weight on our shoulders when we don’t need to. If you can get help in doing it, take advantage of it and enjoy. Even if they don’t do the chore the way you do, it’s okay. I know it can be hard to ask for help- because I struggle with this myself! I am learning, though, that when I ask for help people are more than willing to lend a hand when needed. Create a weekly or monthly meal plan for your family’s meals. When I do this, I like to create several batches of a meal whenever I make something nice and fill 2-3 more of these disposable trays and store them in the chest freezer. On extra busy days, I can just pull one of the freezer meals out and stick it in the oven! This works with most anything I enjoy making. To further on the freezer meals and the Instant Pot, I recently started using Once a Month Meals to help me plan a wide variety of freezer meals. I don’t use them exclusively, so by creating one of the menu plans, it lasts us quite a while and makes dinnertime much less stressful! I use their Instant Pot menu plans. Pack lunches and set out clothes the night before. This goes for everyone in the family, not just the kids. Schedule doctors and other appointments on the same day so you don’t have to make multiple trips. For those who are teachers, it’s best to try and schedule non-urgent appointments during your breaks so that you don’t fall behind on work duties. 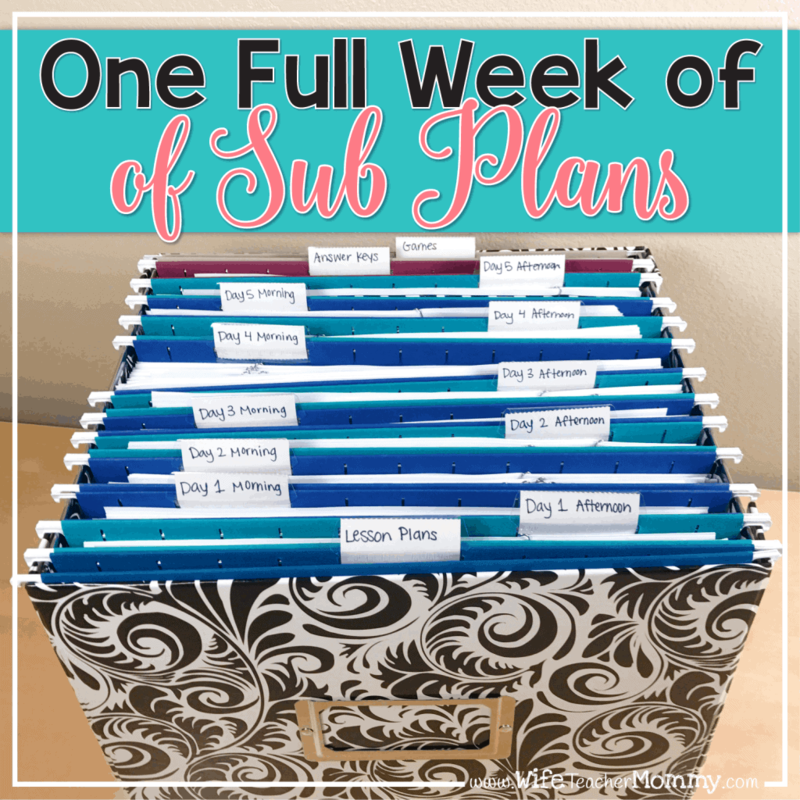 Staying organized is the key to saving time. 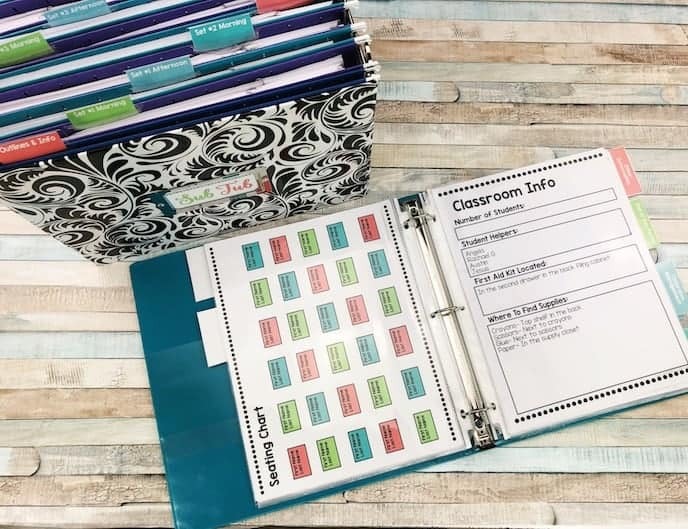 Much like a well organized classroom runs more smoothly, the same goes for a well organized home. You can get far more accomplished if everything is in its place. You can find all sorts of storage containers on Amazon that can help you get any space organized! 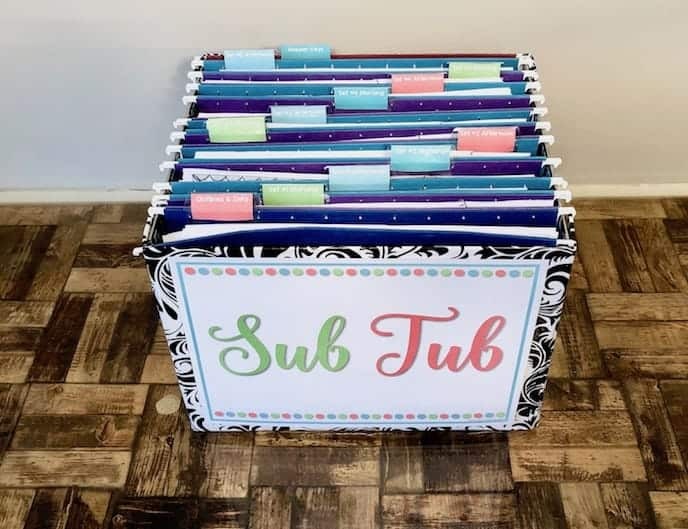 This is my go to for organization in school, office and home! 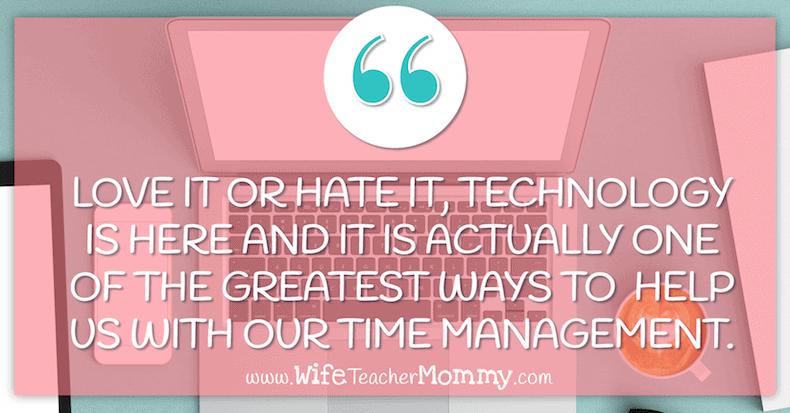 Love it or hate it, technology is here and it is actually one of the greatest ways to help us with our time management. There are countless time management apps available to use. Plus if you have older kids that carry a phone, you can use a family calendar that is synced across each phone so that each member of the family knows the schedule. Use your Slow Cooker… or Instant Pot! A slow cooker is a huge plus for those looking to save on the amount of time that is spent in the kitchen. Taking 10 minutes in the morning to toss a recipe into the slow cooker can save you an hour or more each evening. Combine this with the freezer meal tip from above, and meal planning will be much less stressful! But do you know what’s even better than a slow cooker? The Instant Pot. It can make any meal that you’d make in the crock pot, but MUCH faster. I’ve never had dinner take more than an hour in the instant pot (including a roast!) and it tastes just as good, if not better. For example, one of my all time FAVORITE meals in the Instant Pot is salsa chicken. 2 ingredients- chicken breasts and a jar of salsa. Cook for 15 minutes… and it’s amazing! This can save you a LOT of time in the mornings, because you won’t have to put anything in a slow cooker before school. The Instant Pot is my new favorite time saver in the kitchen! I plan on writing a post all about how I use the Instant Pot soon, so be sure to subscribe to my email list below so you don’t miss that post! Have lessons ready ahead of time so when you need to take a day off, you don’t need to stress! 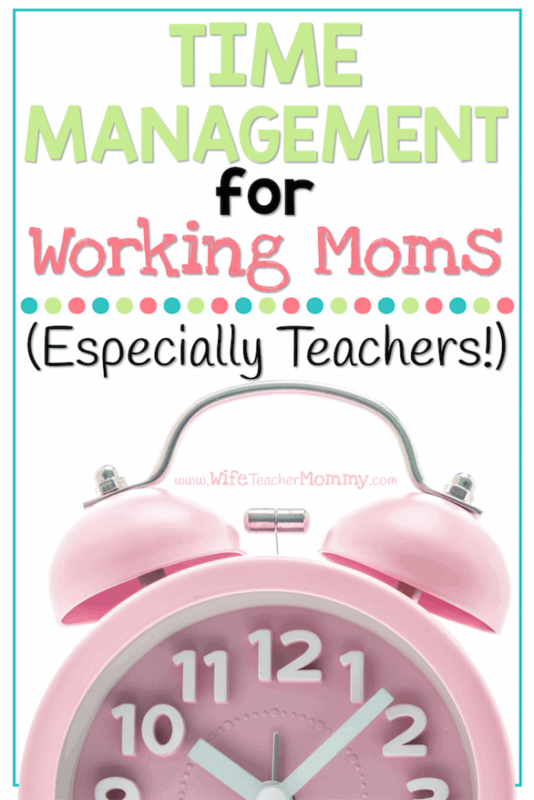 This is a great tip for time management for teachers who are also moms- because you never know when you or your kids will be sick, or when you’ll have a family emergency. 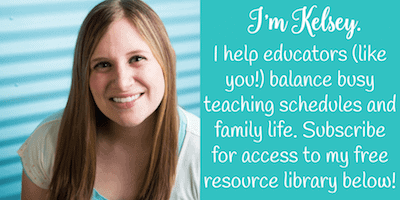 You can get access to my free resource library to help you get started! 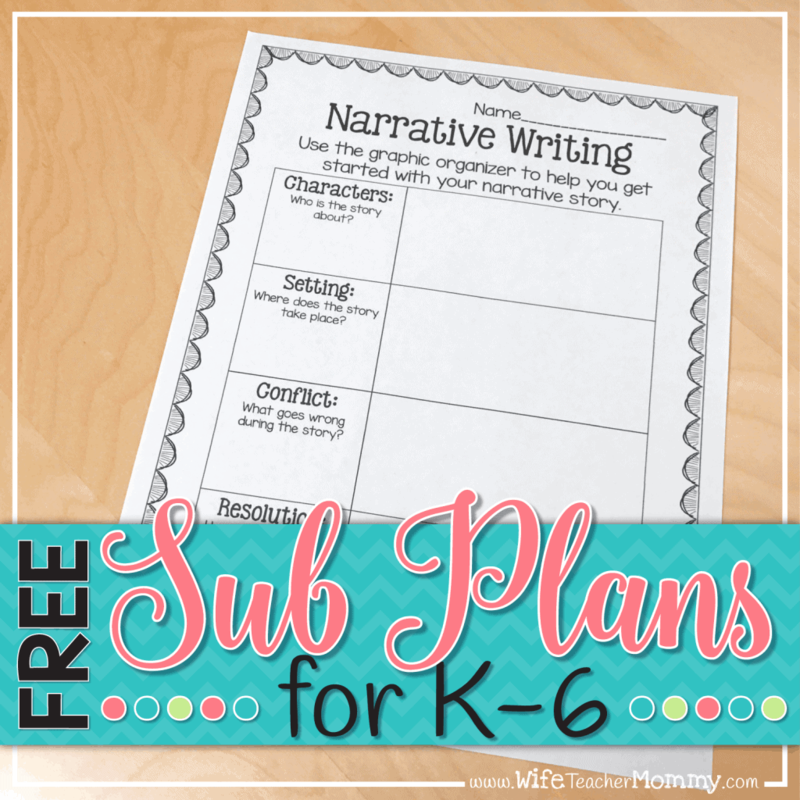 You can also check out our full sets of Ready To Go Sub Plans in our store here!